The deadline to file your income tax returns is expiring tonight (Monday) and our sources say the Federal Board of Revenue is not extending the date again. The government has already extended the deadline thrice to November 30, December 15 and December 17 (today) and sources say a further extension is highly unlikely. These back-to-back extensions have helped the government increased tax revenues by a tenth this year. According to sources, the number of individual tax filers has increased by 10.7% compared to last year. The overall number of filers (including businesses) has increased as well. In his recent tweet, Minister of State for Revenue Hammad Azhar said the number of overall tax returns filed till December 15 show a 30% increase compared to the last year. Pakistan has one of the lowest tax-to-GDP ratios in the world, around 12%, because tax evasion is rampant in the country. Therefore, the government has compiled lists of high net worth individuals, a database of more than 700,000, who are evading taxes and 3,100 of them have already been issued notices. These are resourceful people who have purchased properties worth Rs20 million, bought 1800 cc automobiles and earned rental incomes of Rs10 million a year, but didn’t file their income tax returns. The government faces a deficit (loss) of Rs2.3 trillion a year because it spends more than it earns, which leaves it with little money to spend on its citizens. Unable to increase its revenue, the government resorts to borrowing from banks so it can continue its day-to-day operations and do development projects (schools, hospitals, roads and dams etc). Experts say our undocumented economy is almost the same size as our formal economy. Bringing the big tax evaders under the FBR’s net can help the government increase its revenues and reduce its reliance on borrowing. Non-filers, people who don’t file their income tax returns regardless of whether they pay tax or not, will be penalised, Federal Finance Minister Asad Umar had said during a session of the National Assembly in October. The government is trying to make life difficult for non-filers. 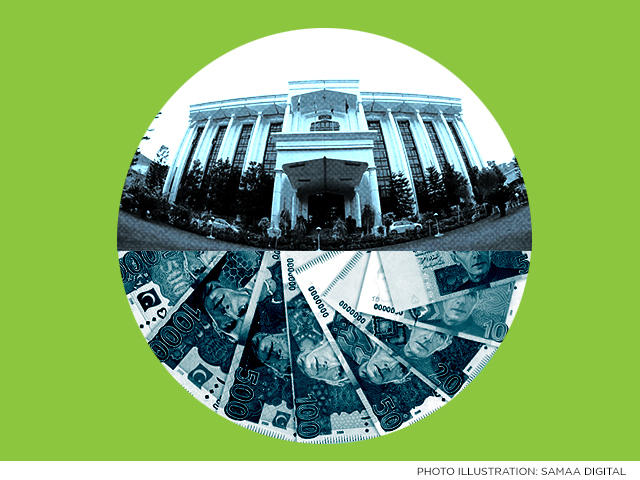 It has restricted non-filers from buying new cars or property worth more than Rs4 million. Only overseas Pakistanis are exempt from this restriction and so are people inheriting property. Similarly, non-filers who will purchase automobiles below 200cc (engine), such as rickshaws and motorcycles, will also be exempt from this restriction.